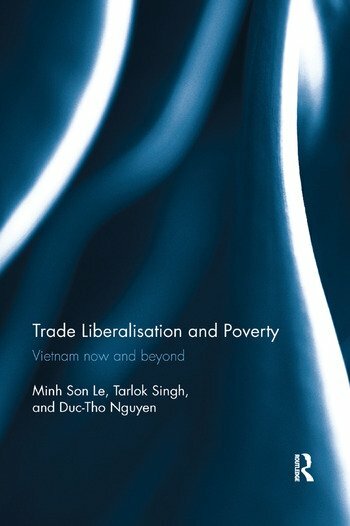 This book uses Alan Winters’ analytical framework to investigate the effects of trade liberalisation on economic growth and poverty in Vietnam. The country launched a programme of economic and trade reforms, known as Doi Moi, in the mid-1980s which placed the economy on a transitional path from central planning to a market economy. Since then Vietnam has attained a number of remarkable achievements in terms of economic growth and poverty reduction. Although some formidable problems (such as inequality and inflation) remain, it is apparent that trade liberalisation has been associated with a big reduction in poverty. The analysis in the book focuses on the microeconomic (household) level, and there is an emphasis on tracing the effects of trade liberalisation through the four separate channels identified by Winters. Such in-depth and micro-level analyses yield new insights that support important policy lessons and recommendations for Vietnam in particular and, more generally, for similar developing countries. Minh Son Le, PhD (Griffith University), is a lecturer at the International Economics Faculty, Banking University Ho Chi Minh City, Vietnam. His current teaching areas are econometrics, macroeconomics, and economics of development. His primary research interests include trade liberalisation and poverty, institutional economics, and private sector development. Tarlok Singh, PhD (UNSW), is an associate professor of Economics, Department of Accounting, Finance and Economics, Griffith Business School, Griffith University, Queensland, Australia. His teaching expertise includes Applied Econometrics, Intermediate Macroeconomics, Advanced Macroeconomics, Financial Economics, Monetary Economics and International Economics. He has supervised a number of PhD students in the areas of economic growth and financial economics. He has published a number of research papers in the areas of macroeconomic modelling and economic growth. His articles have appeared in numerous economics journals including Applied Economics, Applied Economics Letters, Empirical Economics, Economic Modelling, Economic Papers: A Journal of Applied Economics and Policy, Global Economy Journal, International Review of Applied Economics, The International Trade Journal, Journal of Economic Surveys, The Journal of International Trade & Economic Development, Journal of the Asia Pacific Economy, Journal of Economic Policy Reform, Journal of Policy Modeling, Journal of Post Keynesian Economics, Journal of Time Series Econometrics, Research in Economics, World Economics, and The World Economy. Duc-Tho Nguyen, PhD (Australian National University), is an adjunct professor at Griffith University, Brisbane, Australia, where he previously held senior positions, including Dean of Commerce and Administration, and Head of the School of Economics. His main research interests are economic growth and development, macroeconomic issues in Asia-Pacific economies, financial economics, and applied economics.